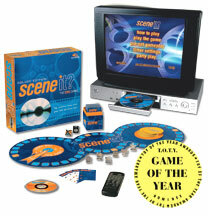 If you are interested in getting the Scene it? game, then the Deluxe Edition is definately the way to go. You get a few more player tokens (but if you want more players, you can just add your own), but what really matters, is that you get a second DVD with questions! This adds a lot of variety and will certainly prolong the longevity of your game immensly.